Stuffed squid, or ‘calamari’ in Italian, is a wondrous dish that celebrates all the beautiful flavors of the Mediterranean. Try our recipe here that shows you how to prepare squid in a way commonly seen in the Campania region, and be transported to the back streets of Naples. Stuffed squid can be prepared in a number of different ways, and every Italian family seems to have their own combination of ingredients and way of preparation. 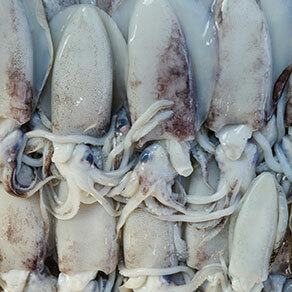 Squid dishes are widely found around many of the seaside cities of Italy, and the origins of stuffed squid are unknown. 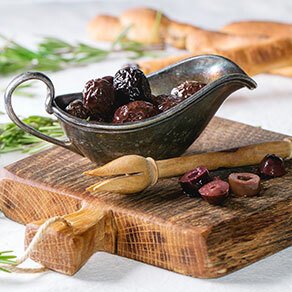 Some cite it as Sicilian, although there may be the addition of some ingredients that the locals love, such as anchovies and caciocavallo cheese. Some refer to it as ‘calamari ripieni all’Amalfitana’, being a recipe typical of the Amalfi peninsula. 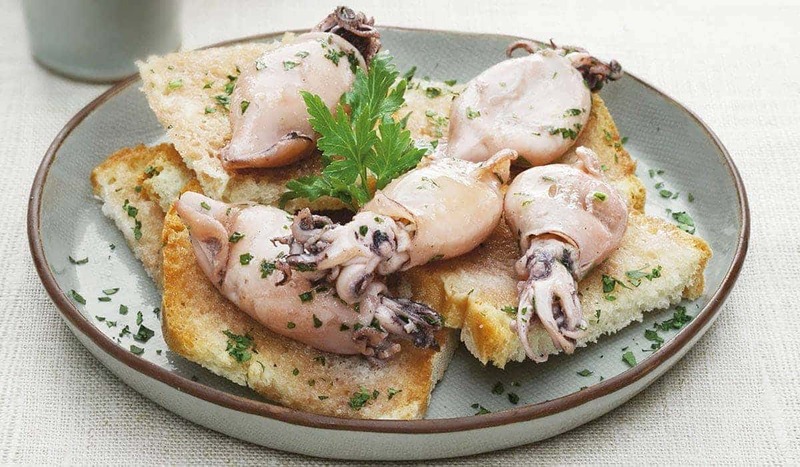 Others argue that it is from Naples, where they call it by a name in the local dialect, ‘calamari ‘mbuttunat’. In Liguria they may prepare stuffed calamari with cooked spinach included in the filling. 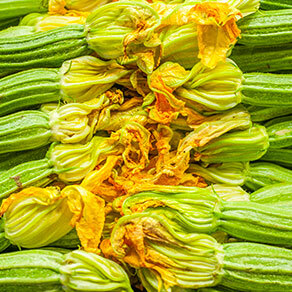 Variations in the recipe are as diverse as the local cuisine of Italy’s different regions! The recipe requires some preparation with the stuffing, but this can be done a day ahead and stored in the fridge. The fresh tomatoes can be replaced with canned, peeled tomatoes, if you prefer a smoother sauce to accompany the squid. Take care to not overcook the squid, and also not to overfill it with the stuffing as the flesh can break easily (although it’s not so terrible if it does break and the filling leaks into the sauce – delicious). 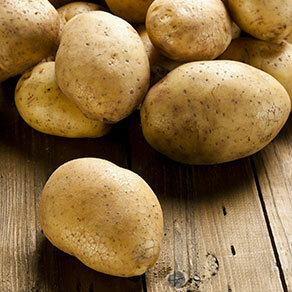 Boil the potato until soft, drain, then mash with a potato masher or a fork. Set aside whilst preparing the rest of the ingredients. Heat 3-4 tablespoons of olive oil on a pan over medium heat and cook half the garlic until golden. Add the tentacles, cook for 2-3 minutes, stirring constantly. Add 100 ml of white wine and allow to evaporate from the pan. Remove the tentacles and allow to drain, chop them into small pieces and set aside. Dispose of the garlic from pan, conserving the cooking juices for later. In a large bowl, combine the potato mash, along with the finely chopped zucchini, 2 tablespoons of pecorino cheese, egg white, chopped parsley, remaining crushed garlic, 1 tablespoon of breadcrumbs, capers and olives. Season with salt and pepper. Carefully put some filling into each squid body, taking care not to overstuff. Seal the open ends of the squid with skewers. Heat the pan previously used for cooking the tentacles and gently brown the stuffed squid for 2-3 minutes. Add 100 ml of white wine, then place the lid and cook for another 30 minutes, adding small amounts of warm water if necessary. Remove lid, add the tomatoes, season with salt and pepper as required. Cook for a further 10 minutes without the lid. Add a good handful of fresh chopped parsley and serve. If you happen to find yourself in Naples with the locals preparing stuffed squid in their kitchens, you may hear them calling it ‘calamari ‘mbuttunat’, ‘’imbuttunat’ meaning ‘stuffed’ in the colorful dialect of this region, which in Italian is called ‘ripieni’.